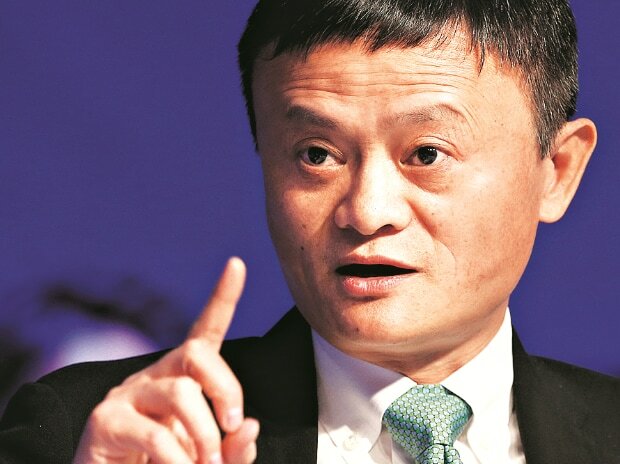 That he speaks impeccable English despite being a Chinese comes from the fact that Jack Yun Ma, Co-Founder and Executive Chairman of e-commerce behemoth Alibaba, graduated from Hangzhou Teacher's Institute with a major in English and later became a teacher, imparting lessons in the same language. Strange are the ways in which tech honchos function: News about a change of guard came via his interview on Friday with The New York Times -- at a time when US-China trade war is at its zenith -- and not from Alibaba itself. As Ma turns 54 on Monday -- the day when he will reportedly make his retirement official which also happens to be Teachers' Day in China -- he is leaving behind a legacy which will not be easy for his successor to carry forward. Although not directly present in the online marketplace, Alibaba's diversified portfolio in India include top-of-the-line investments in digital payments platform Paytm, in Cloud computing via Alibaba Cloud, in the digital media space via UCWeb and several innovation initiatives that makes the country an attractive destination for the $420 billion conglomerate. As the Indian e-commerce space flourishes -- with Walmart's acquisition of Flipkart and Amazon pouring in millions of dollars -- recent media reports indicated that Ma has plans to invest into Reliance Retail Ltd which, if true, will see Alibaba have physical presence and a bigger retail clout in India. The opportunities are immense for the current $35 billion Indian e-commerce sector which would be worth over $100 billion by 2022 -- with a growth of around 25 per cent from the current level -- a joint PwC-Nasscom report said on Friday. According to the company, Paytm AI Cloud processes and stores their consumers' data locally in servers located in India -- a demand from the government that has resulted in its rival WhatsApp and Apple deferring their digital payments services in the country. India is a "very important" market for Alibaba in its global strategy, its Chief Executive Officer Daniel Zhang told IANS last year. "Globalisation is one of our key strategies for Alibaba. As part of this strategy, India is a very important topic. India is a very important market for us to look at," Zhang said. Ma -- who will remain on Alibaba's board of directors and continue to mentor the company's management after retirement -- met Prime Minister Narendra Modi in 2015 and discussed ways to empower small businesses in the country. They never met again and Ma too didn't reveal much about his India plans, but his company has been making inroads into a country that provides massive opportunity owing to a growing Internet and smartphone user base amid an increasing digital drive across enterprises. A devotee of Chinese martial art form Tai Chi, Ma started Alibaba in 1999 from his modest apartment in Hangzhou, the capital of east China's Zhejiang Province, with 17 other people (remember that Jeff Bezos started Amazon from a garage in Seattle). His instructions must be clear to his successor -- focus on India that is not yet saturated like China and growing by leaps and bounds across the technology domains in which Alibaba has expertise.